The company was founded in 1949 by Alcide Muratori, as a small company of craftsmen who repaired agricultural machinery. During the ’50s the company built also small tractors. The production of agricultural machinery (at the beginning only rotary hoes, but product by product through the years, the line has grown to its present state) began at the beginning of the 1960s. Just a few years later, Muratori began exporting part of its products to nearby countries, beginning its strong export vocation. The company grew and expanded, and in 1978 a new company was formed, and a new factory , the present company headquarter, was built. Today, after further expansions, it occupies a covered surface of over 6,000 m2. It means that for more than 60 years customers from more than 40 countries all over the world have found and will still found by us the most suitable and effective product for their job together with an efficient service and a fair and friendly business relationship. Muratori S.P.A. ist still run by the Muratori family. Lucio Muratori, son of the founder, ist the present president, and his daughter, Elisa, is the managing director. In recent years, the company has shown its commitment to innovate and its attention to the environment through two significant investments. The first one was an automated painting plant, technologically advanced and with a low environmental impact. The second one was a 115 KWp photovoltaic plant than provides, in complete autonomy and without any damage to the environment, the 75% of the energy required to run the factory. 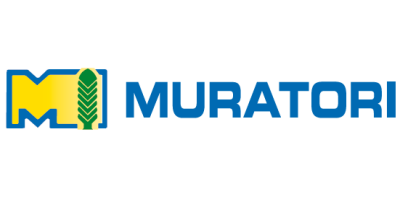 Muratori S.P.A. products are used in various sectors, such as: landscaping, professional gardening, vegetable gardening, vineyard, orchard and large scale farming. More than 90% of the production is exported. Our mission can be explained with the slogan “Trust the specialist”. It means that for more than 60 years customer from more than 40 countries, across 5 continents, have found the best and most effective product for their job with Muratori together with an efficient service and an excellent price/quality ratio.